The death of a beloved pet is something no dog owner wants to think about, but sadly, it is a fact of life that they must sometimes face. Everyday playing fetch, shaking hands, he'd lick my face. For the first time I knew what real pain was. From that moment on, Real life began." 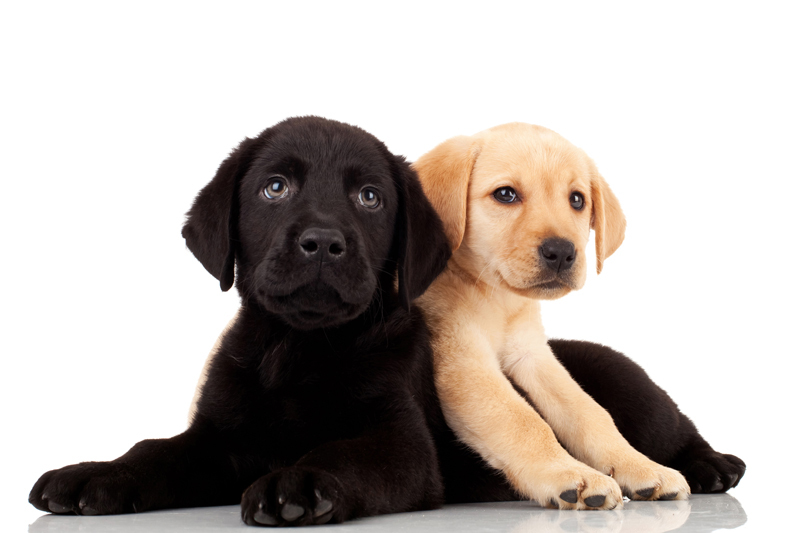 For a child and a puppy who begin life at about the same time and grow up together, side-by-side, in about 10 or 12 years, when the child's life is really just beginning, the dog will already show many signs of aging and may soon be gone. While losing a life-long canine companion may often be a child's first experience with death, loss of a precious pet is something that most dog lovers will experience time and time again during their own lifetime. Dogs' lives are far too short. Even with the best of care, for some giant breeds, 8 to 10 years is, in fact, a lifetime. The Irish Wolfhound, for example, has an average lifespan between 6 and 7 years of age. While some toy breeds and small terriers might live to the ripe old age of 15, and a rare few exceptional dogs live into their late teens, the average lifespan for many dogs, purebred or of mixed ancestry, is between 10 and 12 years of age. We love our dogs. They become a much loved part of the family and losing them can be just as traumatic as losing any other family member. Dogs can sometimes be a bigger part of our lives than our human friends. Even when death is expected, letting go is never easy. With an old dog who has had a full life, we always want a few more years together. But... though we desperately do not want to lose them, we also don't want to see them in unrelenting pain. If a dog has been suffering, death by euthanasia is often a final act of love. Losing a pet can be even more devastating with the sudden and unexpected death of a younger animal due to serious injuries from an accident or from a catastrophic illness. In addition to the heartache, loneliness, and profound grief, owners may have feelings of anger and guilt. They may second guess decisions that had to be made regarding treatment, think they could have or should have done more, blame others or blame themselves. The death of a pet must be treated like the loss of any loved one. Release your feelings... Let the tears flow! Talk to your family, to an understanding friend or find a pet loss support group. Try to understand that people who do not have pets can sometimes be very insensitive with comments like "It was only a dog". Ignore them and consider yourself blessed. Your life, unlike theirs, has been enriched by the unconditional love and companionship of a dog. Pay final respects to a lost pet by holding a small memorial service. Create a memorial collage or shadowbox with pictures plus objects like collars, tags or small toys that were part of the dog's life. Make a contribution to pet-related charity in honor of your dog's memory. Plant a tree in honor of your dog's memory. Write a memorial tribute and post it online at one of many Pet Memorial sites. Most of these sites also allow you to include a picture of your pet. offers a special place where you can express your true feelings from your heart with a free and permanent "Pet Loss" memorial tribute, poem, story and a candle light to your beloved pets. I have memorial tributes for my dogs, Sprig and Gretchen here. A free internet memorial community, open to all dogs who have Gone to DogStar, and who wait for us there. Their goal is to give you a place where you will always be able to find your friend in the night sky. The dog stars are grouped in constellations with an individual star that leads to it's individual memorial page. Sprig and Gretchen are also memorialized at Gone to DogStar. A pet memorial interactive site where you can create a special tribute to your beloved furry family member and best friend that has left you. For all the years of unconditional love, this is one way to keep the memories alive. Share your treasured memories with memorial tribute that honors your pet and lets you know you are not alone in missing the touch of your companion. A unique virtual pet memorial. Add a memorial, eulogy, or poem for your pet to this growing remembrance quilt. Submit a memorial prayer to your beloved pet to be included on this page of prayers. If you have other pets, no matter how much you're hurting, try to give them extra attention. Don't neglect them now. Experts tell us that dogs mourn the loss of other canine family members and experience grief much like we do. Extra hugs and cuddling together can be healing for both of you. When is the right time to think about getting a new dog? Everyone needs time to grieve when a dear pet dies and there is really no one simple answer to that question or a time line to follow. For some people, just living in a lonely house without a dog prolongs the grieving process and a new pet might help them feel better. Others will need a great deal of time to adjust and accept their loss. They'll see a new dog as an intruder. Especially if the newcomer looks allot like the departed dog, they might expect the new one to act and behave the same way and they'll firmly reject it. Of course you can never replace the very special pet you lost, but you can eventually let another one come into your life. The pain and sadness will get easier to bear and, when the time is right, you will be able to love another wonderful dog. Being able to recover from the loss of a pet does not mean forgetting them. Remember the love you shared and the years of happiness and be thankful for the time you had together. Share your feelings, express your grief, and give others support and understanding during the hard times after the loss of a pet. A "cybershoulder" for grieving owners of dead, dying, sick and missing animals... A nonjudgmental forum for the exchange of ideas, thoughts, and feelings they may be experiencing, as well as providing alternative resources that people-in-need can turn to for further comfort. Readers can discuss their feelings concerning their grief and sadness, or relate memories about their deceased pet in this safe and comforting place. A gentle and compassionate website for pet lovers who are grieving over the death of a pet or an ill pet. Here you will find personal support, thoughtful advice, The Monday Pet Loss Candle Ceremony, Tribute Pages, healing poetry & much more. How we handle the death of a pet can have a far-reaching impact on our children’s understanding of death and dying. There is really no right or wrong way to approach this sensitive subject, but it's important that, when a pet death happens or is about to happen, we explain things as openly and honestly as we can, and at the child's level of understanding. Choosing to euthanize a cherished companion animal is difficult enough for adults who are faced with such a horrible decision. What's even harder for many parents is finding a way to help their children understand and accept the fact that the time has come to help the pet to die. Decide how and how much to tell your children, and learn how to deal with their grief. This beautifully illustrated book helps children of all ages deal with the pain of losing someone they love very much. It helps a grieving child understand death, how to still love someone after they're gone, and why it's so important to express their feelings everyday while they still can. From the International Association of Pet Cemeteries, read about the five stages of coping with the loss of a pet. It includes information about making final arrangements for your pet. Options include cemetery burial, communal burial, communal cremation, individual or private cremation, and home burial. The stages of grieving and mourning, plus lists of common physical signs and symptoms of grief that many people experience. While many clinics do their best to make the experience as gentle as possible, some owners opt for a different approach—euthanasia in the home. Based on their behavior and outward signs, it appears that dogs do grieve when their canine companion dies. An answer to: Where do our pets go when they die? Making a donation to The Humane Society of the United States is a personal way to honor the memory of a pet or person—a kindred spirit. This meaningful gesture will keep the spirit of a lost loved one alive, while helping all animals. Teaching institutions with volunteers and Veterinary students who are specially trained to counsel pet owners. A confidential telephone service offered through the University of Illinois College of Veterinary Medicine. People who are either grieving the loss of a companion animal or are anticipating a loss are encouraged to call. If you need a compassionate, understanding person to talk to, they are here to listen and to support you. A directory that includes support groups, counselors specializing in grieving, and more. A comprehensive list of pet cemeteries and cremation facilities including those reported by their parent organizations - The International Association of Pet Cemeteries (IAPC) and the Accredited PetCemetery Society (APCS), arranged in geographical order. Send a message of sympathy to someone who has lost a pet. Blessing the Bridge: What Animals Teach Us About Death, Dying , and Beyond offers strength, inspiration and encouragement to anyone with a sick and dying, beloved animal companion. Rita Reynolds shares her wisdom and guidance on comforting a dying animal friend in the final hours, knowing when it's time to let go, then courageously and compassionately helping them through the transition. The emotional stories will inspire all animal lovers. Saying Good-Bye to the Pet You Love: A Complete Resource to Help You Heal validates the survivor’s often misunderstood feelings, explains the importance of the human-animal bond, and offers strategies for working through the grieving process. Some of the coping techniques include memorializing the pet, recognizing problematic thinking, and finding support. Written by a psychologist who is a leader in the field of pet bereavement, this practical but sympathetic guide also covers dealing with guilt and explaining a pet’s death to a child. Do Dogs Go To Heaven interweaves the Bible, animal rescue and many other elements into a brilliant and inspiring study of animals in eternity. This book can be a great solace if you or someone you know is grieving from the loss of a pet or just has a curiosity to know the answer to the question. Goodbye, Friend: Healing Wisdom for Anyone Who Has Ever Lost a Pet is full of sound, compassionate advice to get you through the loss of your pet. It includes ideas for rituals and ceremonies, spiritual guidance and readings and poems to use for solace. The book also addresses animals' grieving; their life spans; their growth, illnesses and needs, plus advice on how to take care of yourself after the death of a pet and the importance of honesty when talking with children about the event. Provide a final resting place and honor your beloved pet's memory with this beautiful pet urn. Made of cast stone concrete, this weather-durable urn can rest in your garden or yard, or simply place it on your mantel. It can be personalized with your pet's name, up to 18 characters, plus the commemorative dates. Weather-durable Pet Memorials are crafted from molded concrete in your choice of dog or cat designs, along with the loving sentiment. It includes engraving with the pet's name. This solid wood frame features a heartwarming sentiment on one side, an opening for your pet's photo on the other side and the pet’s name and commemorative dates or any message, 2 lines, up to 25 characters per line. The frame features a black finish and is designed for wall mount.